The present study is organized around the central hypothesis that the high school context affects students’ postsecondary outcomes. 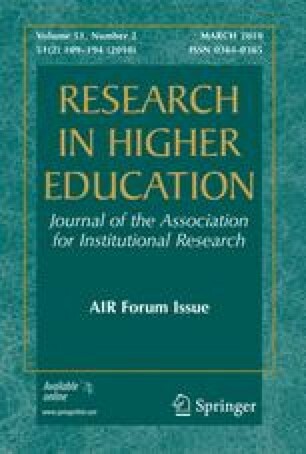 Drawing on a nationally representative sample of high school seniors from the Educational Longitudinal Survey (ELS:2002), this study broadens our empirical understanding of how students’ acquisition of human, social, and cultural capital at the individual and school level affects 2- and 4-year college attendance. Results highlight the normative role of high schools in promoting college enrollment, particularly the role of socioeconomics, academic preparation, and access to parent, peer, and college-linking networks. This study advances our understanding of the secondary-postsecondary nexus and has implications for policies and practices aimed at realizing the current administration’s promise of providing greater access to postsecondary education for all students. This article was presented at the 49th Annual AIR Forum, June, 2009, Atlanta, GA.